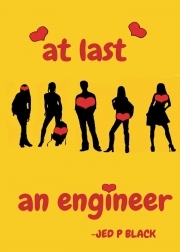 Description of "AT LAST AN ENGINEER"
story about a guy doing engineering n his fun life. well!!!! lot to tell but he like to in shadows. he is very interesting guy n had very different life. he love to live his life fullest. Reviews of "AT LAST AN ENGINEER"